Apple hit a home run with the iPad. Among it’s countless applications, I can download the WSJ and USA Today each morning and read it on a commercial flight along with the latest book download. But that’s not the reason it was on my wish list. 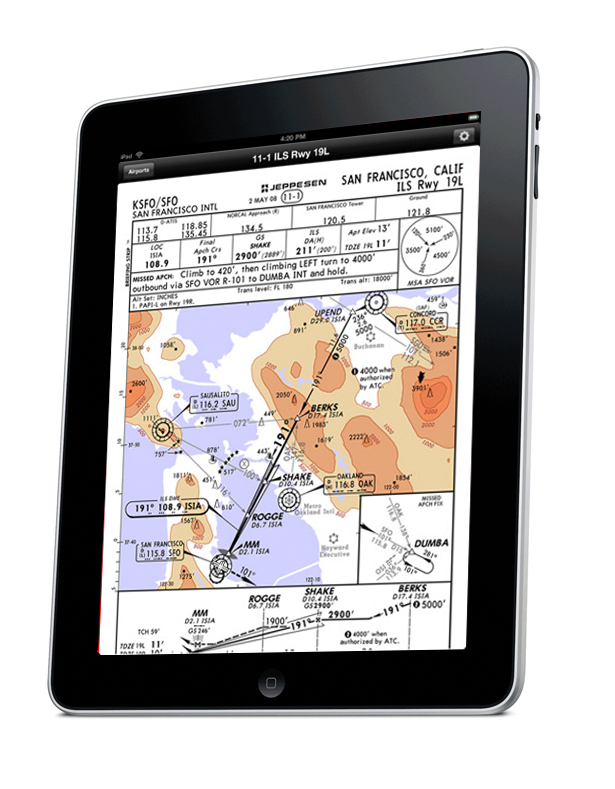 I wanted to stop already with the paper charts and approach plates and use it an EFB (Electronic Flight Bag). I gave it a test “drive” by flying to eight different airports. In a word: Fantastic. My flight bag will go on a diet and lose weight as I ditch books of approach plates and airport directories. 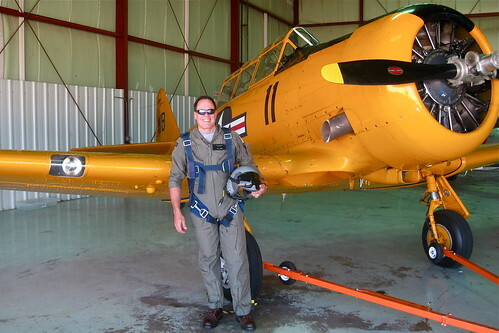 There was no GPS when I started my flight training years ago. Hunting for an airport in a heavily wooded area was not much fun. Determining your position with miles of checkerboard farmland in every direction could be time consuming. I would look down at the paper chart and back outside, scanning for tracks, towers and roads in geography that was flat as a pool table. Say goodbye to all that. Now your “plane” (symbol) is flying right on top of the sectional, or enroute chart. It’s phenomenal for flight planning too. Not only for Route Planning and filing but for Wx Briefing. I can get TAF’s and Metars with current information just before getting ready to taxi. Note: I’d still call a flight service station. No telling when a TFR might pop up if the president visits The Windy City. Many of these are redundant and I’ll look toward paring them once I get more experience. Here’s a good list of what’s available if you’re in the market. It should make us safer pilots. Better plannning; Better tools for go / no go; Better ability to read charts and plates; Better situational awareness. Wish these were around years ago. I use PFMA on my iPhone, which is a flight planner with a FMC like interface. I’ll have to check out the others, although I have used Flightplan and iE6B. I’d still like a better W&B and takeoff/landing performance calc program. After watching my brother’s preflight activities with his iPhone convinced me that an iPad would be great. You should try Aeroweather. I’ll let you know if I find a good weight/balance program. There’s more stuff being added every week. I read this and realize that I’m not just *becoming* a Fossil, I AM a Fossil! Man, the F-4 and non-computerized flt planning with the stripping of charts and cut & paste accordian fold-out knee-clip ink hand-annotated mission strip charts, plus the passel of approach/let-down plates–the height of technology when I flew–is/was like rubbing sticks to make fire compared to today’s navaids. Mind-bending..
It’s good listening to you VX. Sort of like when I explain to my kids that at one time there were only pay phones, black and white TV and telex machines. Makes me appreciate that the good old days some times were not that all that. What’s next? A heads up display for general aviation? Self landing systems for single engine? I’m amazed at how far we’ve come in such a short period of time.